a couple weeks ago i signed up for an artist trading card swap. this involved making a card (or in my head, card like object - i made a bookmark so that it didn't go to watse) and sending it to a fellow blogger, whom in this case i did not know previously. 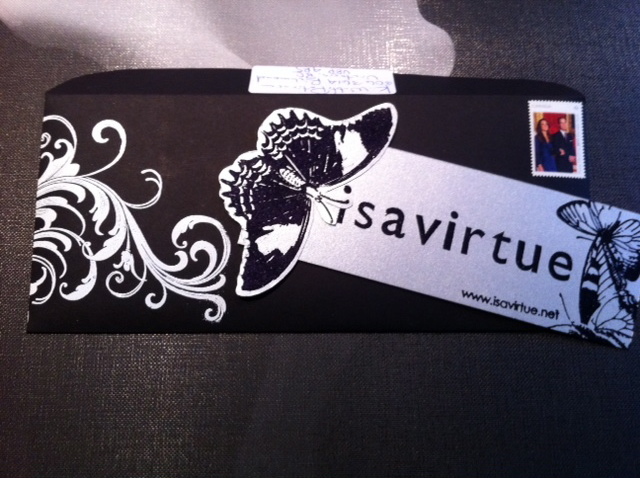 i was lucky enough to have the organizer of the swap, sarah, send me her card. but i had no idea she had such mad drawing skills - look at this envelope she sent! you can learn more about sarah on her blog atlantic atlantis (say that three times fast!) below are pictures of her envelope, letter and card. 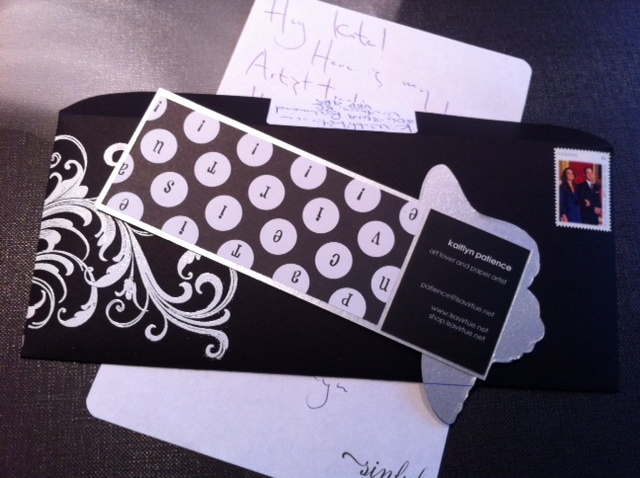 following that are pictures of the card, letter and envelope i sent to blogger kate from scientific culture. They're beautiful!!! I love them both! Her handwriting is perfect! wow!! both of them are great! Oh my goodness. What a fun project! The cards are gorgeous and the fact that the stamp has William and Kate on it is just the icing on the cake. YOURS LOOKS SO PRETTY. Thanks for sharing them, I'm glad you liked mine! And I love that we both used Will and Kate stamps, hahaha.